Living Wage Week commences in the first week of November with the announcement of the 2017-18 Living Wage rates, followed by a week of activity and celebration across the UK. The reception is an opportunity to celebrate the network of employers, parliamentarians and public figures who support the voluntary movement for a Living Wage based on the cost of living. 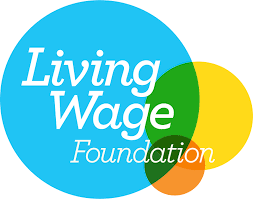 The Living Wage Foundation will announce speakers nearer to the time. Please email Lola.McEvoy [at] livingwage.org.uk if you wish to register to attend the reception.